Store carved carrots in your refrigerator until you’re ready to use them. Carved carrots can be served raw, roasted or steamed as a decorative addition to almost any salad or cooked dish. 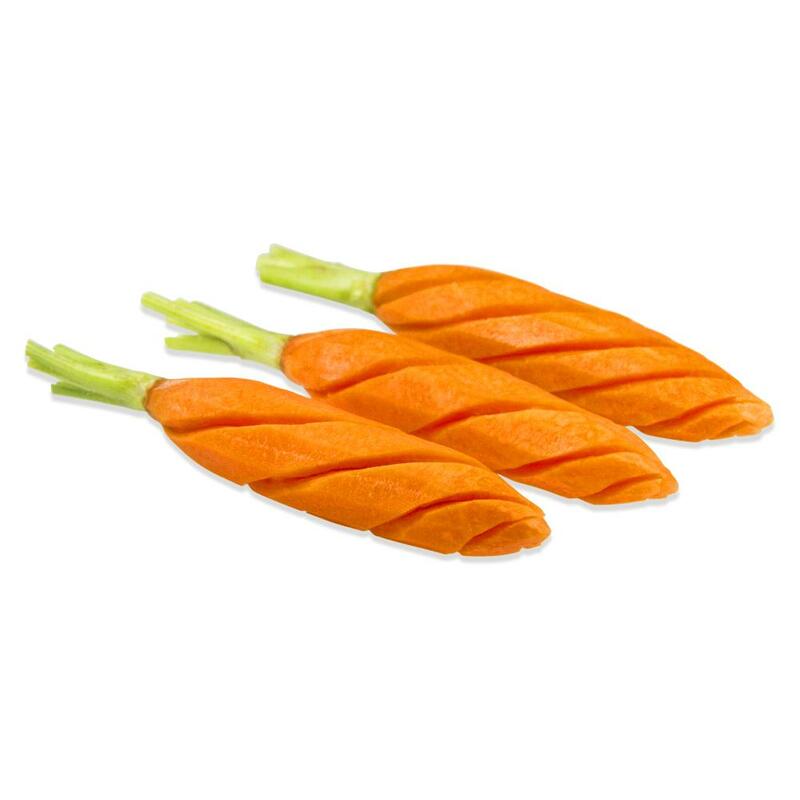 These carrots have been hand carved into decorative shapes, a great way to bring bright color and unusual presentations to dishes...especially for weddings, catered events, etc. Spiral Carrots are long, thin baby carrots with the green tops on (but closely trimmed), carved in a corkscrewing pattern that twists around the entire carrot from end to end. Very elegant. 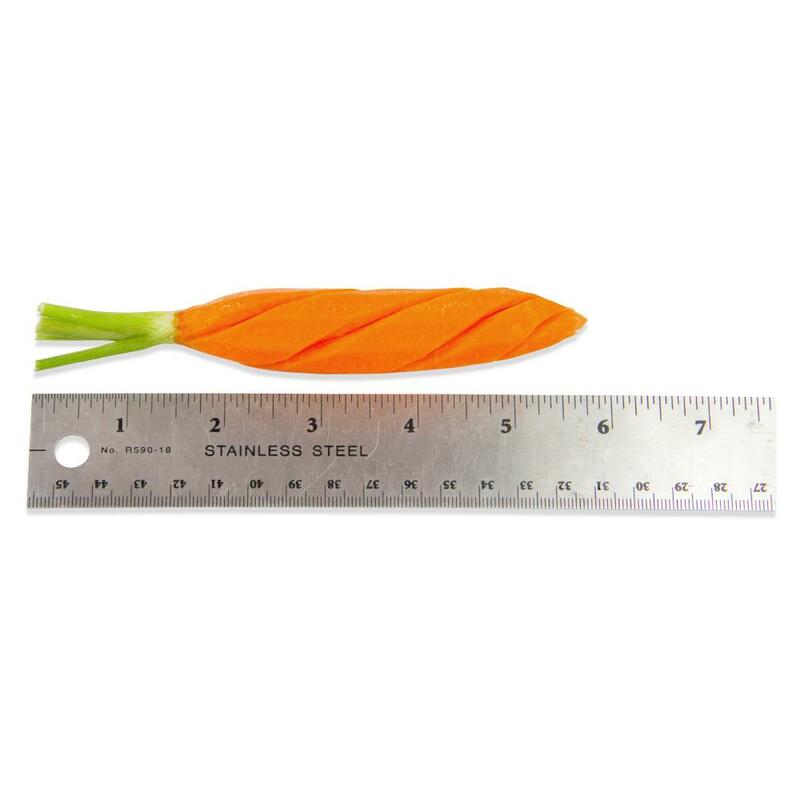 Corn-Shaped Carrots are long, thin baby carrots with the green tops on (but closely trimmed), each carved to look like an ear of corn with the husk partially peeled back.